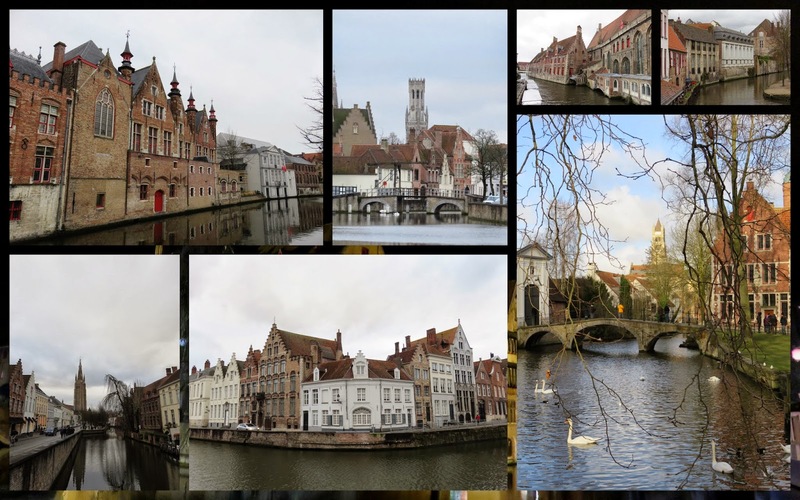 Why visit the quaint Belgian city of Bruges (also known as Brugge) for Christmas? There are so many reasons. Bruges is overrun with tourists during the Spring and Summer high season. Come December, the crowds have departed from this UNESCO heritage town and you can experience Christmas in Bruges with the locals. Every year, we spend two weeks celebrating Christmas in a new place in Europe; pretending that we live there for a short while. 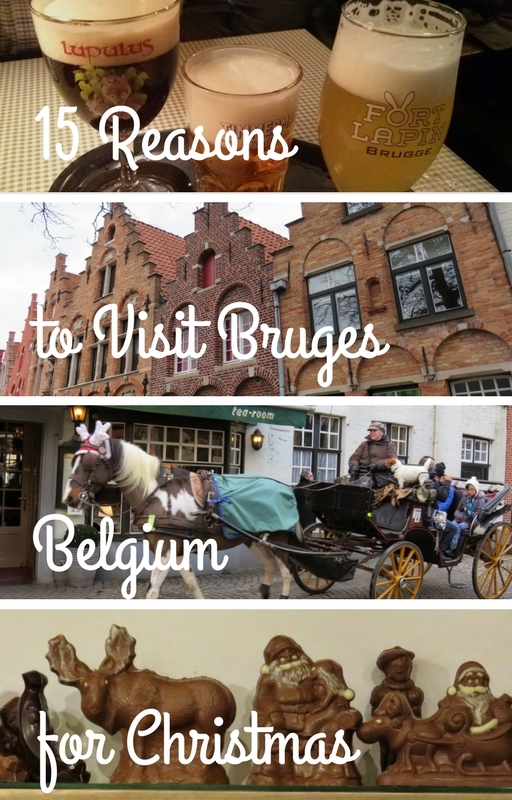 Here are fifteen reasons I recommend that you travel to Bruges to celebrate Christmas. Let’s start with the obvious reason to visit Bruges...Belgian Christmas Markets. The Grote Markt in Bruges is covered in a sheet of ice and visitors skate arm in arm under the shadow of the Bruges Belfry. Unlike German Christmas markets, there are no commemorative mugs but I’ll forgive this one oversight. 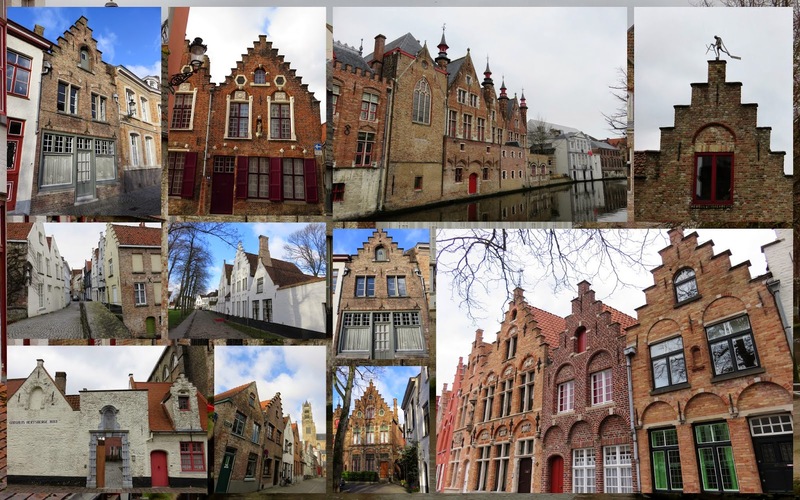 Step gables, ornate brickwork, and fascinating weather vanes will greet you as you stroll the streets of Bruges. And did I mention that the streets of Bruges are cobbled? And not overrun by tourists? Bruges is an extremely popular destination in the warm weather months. 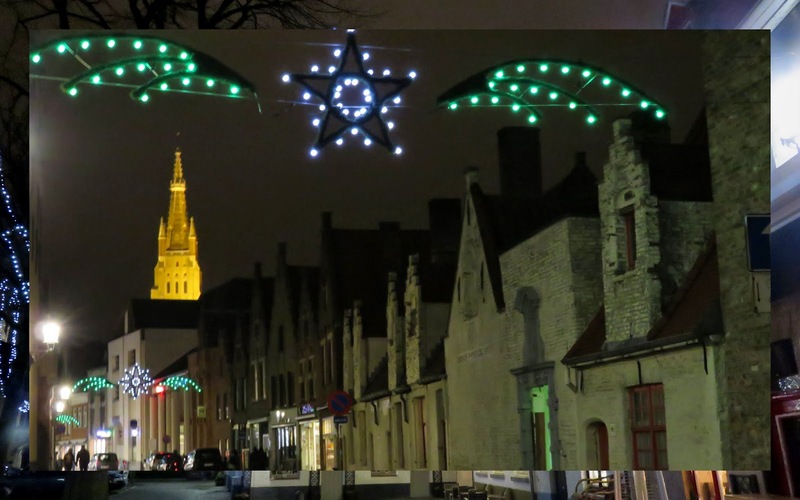 Only hardier tourists visit in the winter which means you can enjoy Bruges at Christmastime without the crowds. Window shopping is always a treat but what’s more fun is seeing something you like and going inside to taste it first hand. 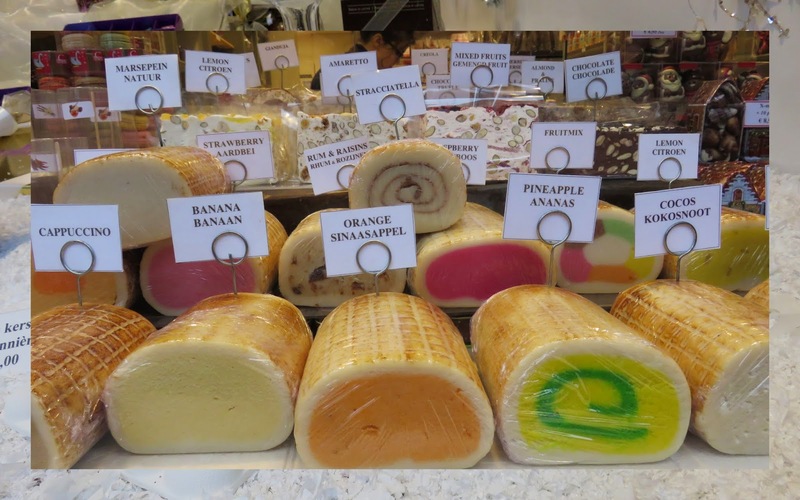 We simply had to try these colorful marzipan yule logs that we discovered when we visited Bruges for Christmas. Belgium is one of the ‘low-countries’ and has the canals to prove it. 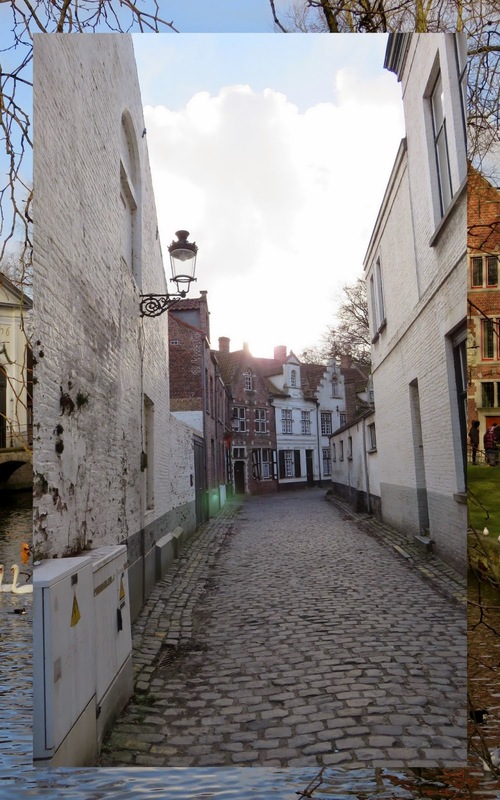 Take advantage of the quiet time of year in December for a canal-side stroll in Bruges. Duck down a side street and you’ll feel like you have the whole town to yourself. Belgium is synonymous with chocolate and this is definitely true of Bruges. 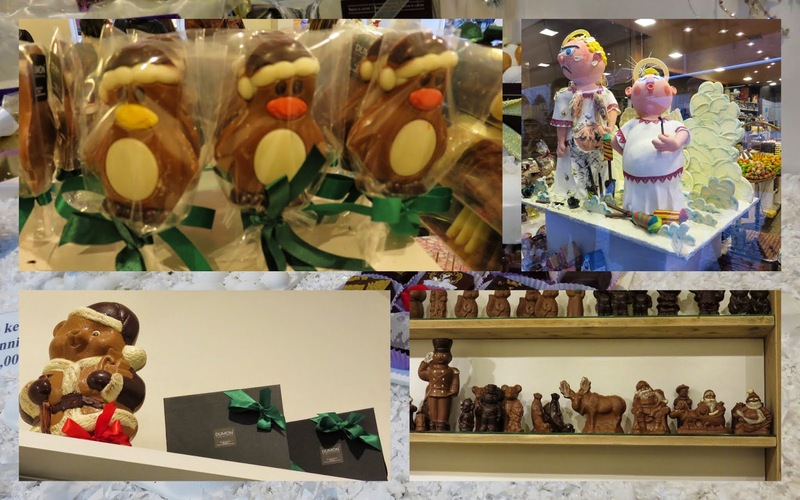 We enjoyed browsing the shops and spotting Santa caps and reindeer among the chocolate creations. Belgium is well known for beer and Bruges has its fair share of Belgian beer pubs. 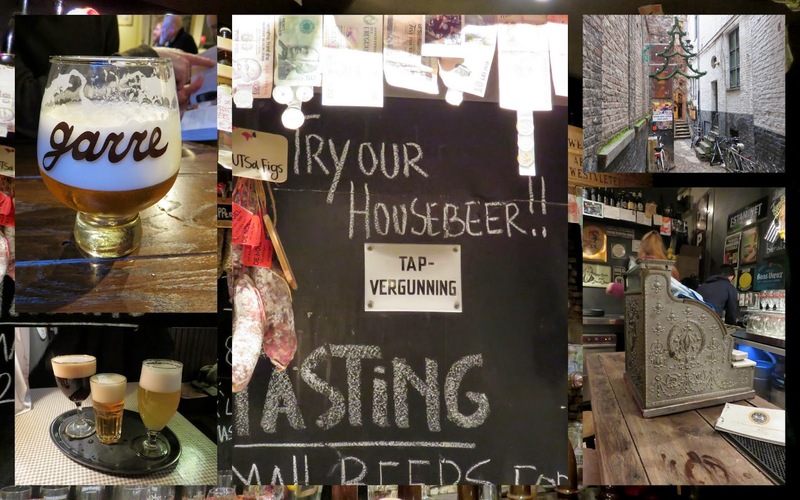 We tried de Garre (nestled down a tiny alleyway just off the Grote Markt). de Garre is famous for their house beer which weighs in at about 11% alcohol content so watch out! We also visited 't Brugs Bieratelier which had fantastic atmosphere including an old timey cash register. Our favorite part was the fact that they do tasting flights to give folks the opportunity to sample a variety of Belgian beers. Variety is the spice of life! As you're walking through the streets of Bruges, you can expect to hear the clip-clop of horse hooves on the cobbled streets. We didn’t take a ride ourselves because it felt a bit touristy but the reindeer antlers on this fellow made me smile. 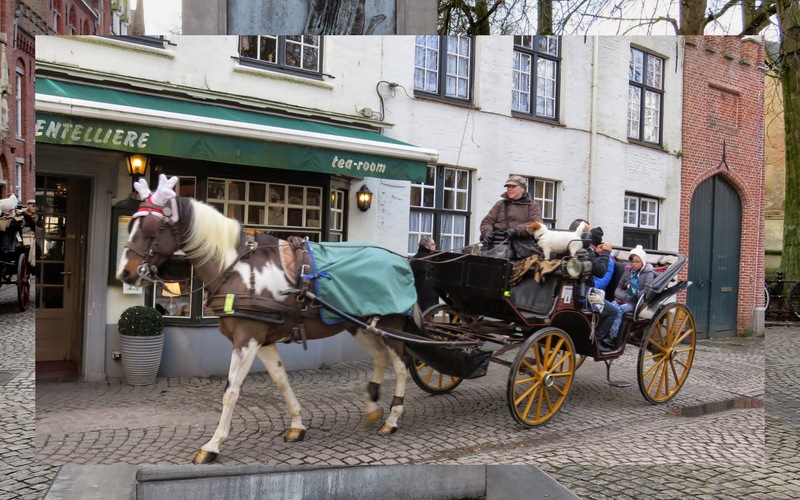 The horse-drawn carriages definitely add to the Christmas spirit in Bruges. 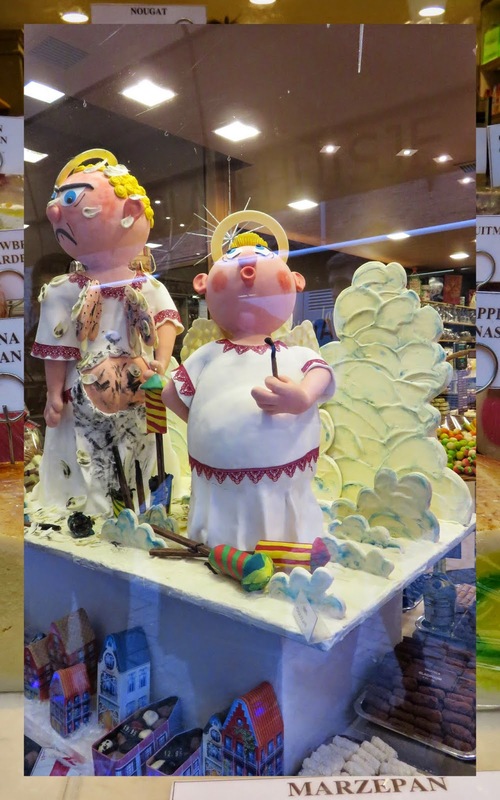 Bruges features some amazing window displays at Christmastime and some are particularly irreverent. I loved these two angels including one that seemed to have fallen victim to a practical joke. Seems a little breezy, eh? Take a stroll at night in Bruges during the Christmas season and you’ll be treated to a display of festive twinkling lights. 'Tis the season. Walking the quiet streets at night, it’s hard to get lost in Bruges. All the historic towers in this UNESCO heritage town light the night sky. Use them to triangulate your position and find your way home. 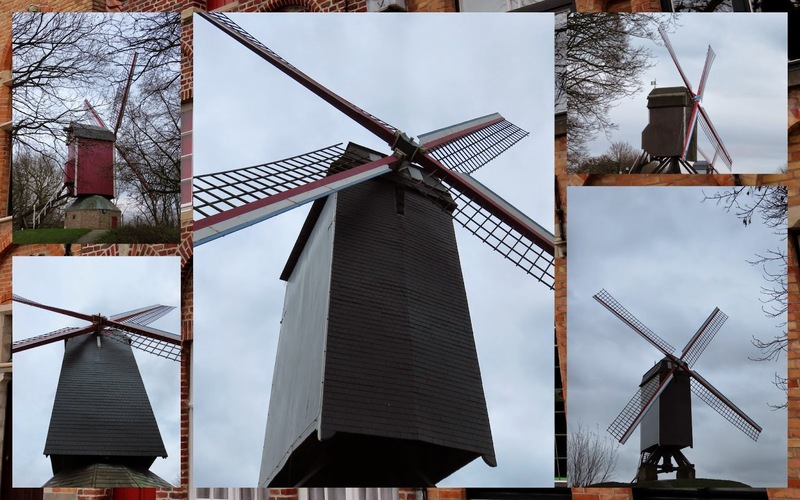 Despite the winter chill in the air, we took a walk around the canal that rings Bruges past a series of old windmills. It was a charming site to behold and took us back in time. 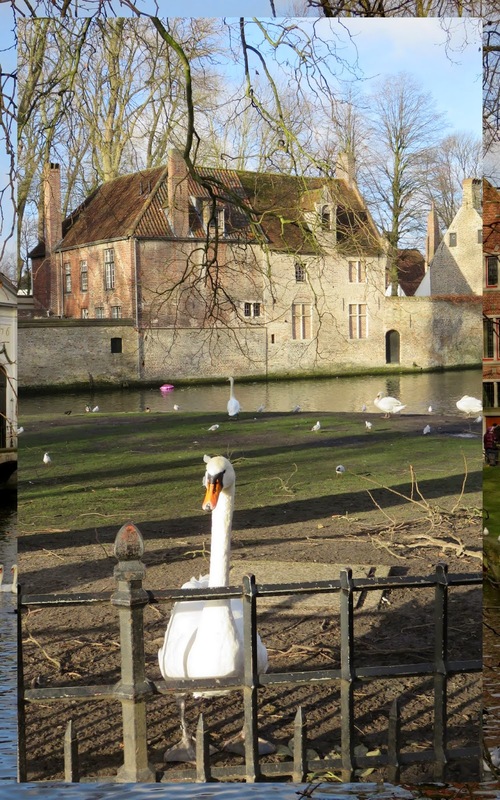 Tis the season for swans in Bruges. We enjoyed watching our feathered friends float along Bruges' signature canals during the holiday season. Bistro de Schilder is a cozy restaurant stationed inside an old gabled canal house in Bruges. 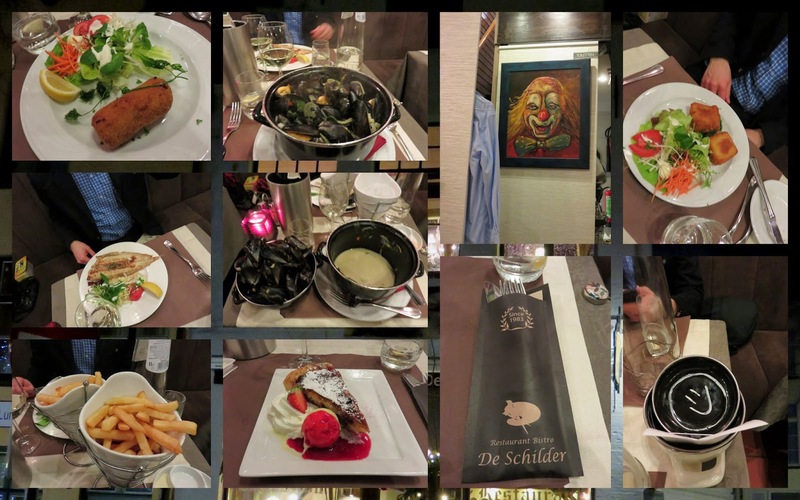 There are some disturbing paintings of clowns on that wall, but that aside, the food was quite excellent. I managed to eat an entire pot of mussels in their signature beer sauce. Plus, don't forget the frites! Bistro de Schilder is an ideal spot for Christmas dinner in Bruges. Belgium is known for beer and especially La Chouffe, a brand known for its red hatted gnome. 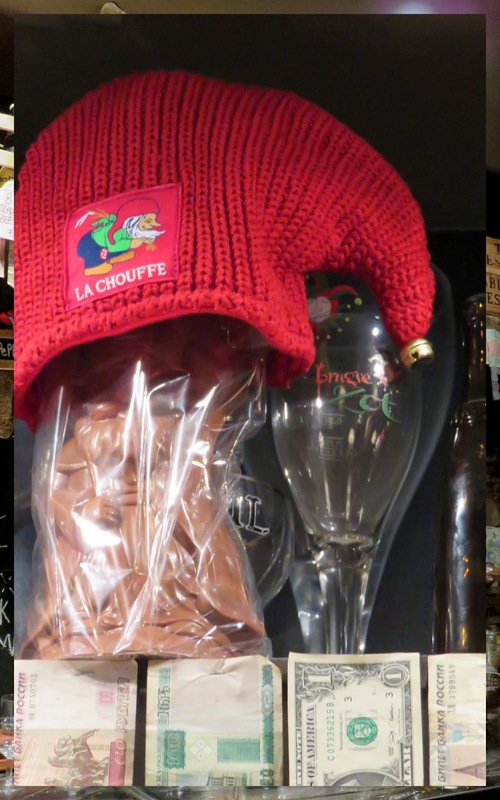 We were sitting in 't Brugs Bieratelier in Bruges when we noticed the bartender giving out La Chouffe hats! There was a small mob trying to get one so he was being rather cautious about handing them out. However, after the large group left, he handed us two hats. I was even more excited when I discovered that the La Chouffe hats had a jingle bell on the end! We wore them out and about town for the rest of our time in Bruges. Jingle all the way! Is it worth visting Bruges for Christmas? Clearly I think so. 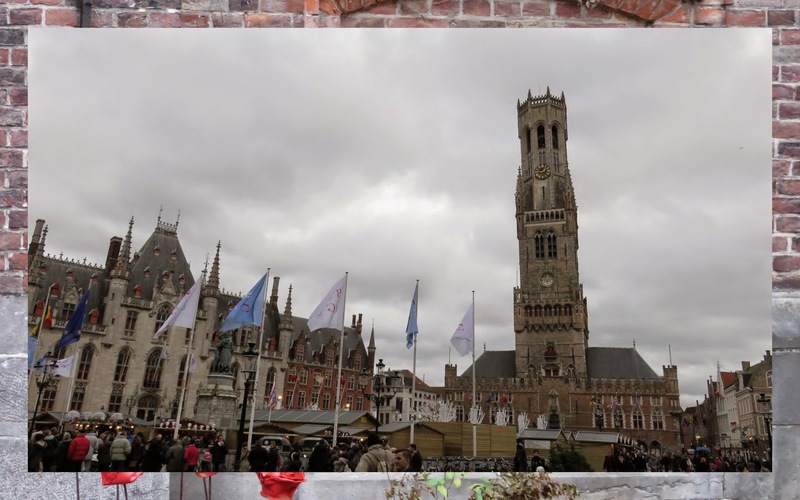 As you can see from the 15 highlights above, Bruges is a fun and festive place to spend the winter holidays. 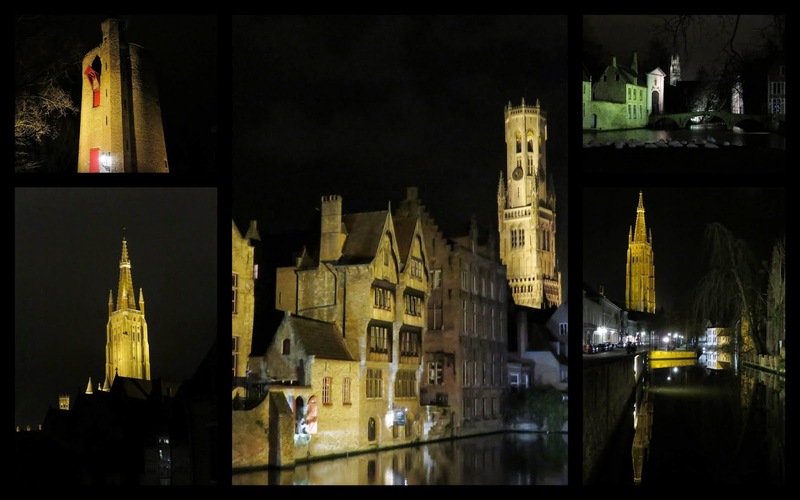 15 reasons to visit Bruges, Belgium during the Christmas season.